Last weekend, Libramont hosted the 2017 Belgian Championships, an important competition on the way to EYOF and Worlds. For her first competition since Rio, Rune Hermans took the all-around crown on the Seniors'side, while Julie Vandamme came on top in the Juniors ranks. Rune Hermans wasn't the only one to make a comeback in Libramont. 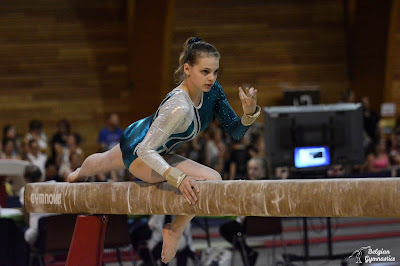 Maellyse Brassart and Axelle Klinckaert also competed this weekend, after a broken toe and a knee injury, respectively. Note that Axelle only competed on bars. These Championships were also the first competition for Julie Meyers since the European Championships. The girls started on vault, where they showed good full twisting Yurchenkos, Maellyse earning the best score with 13.550. 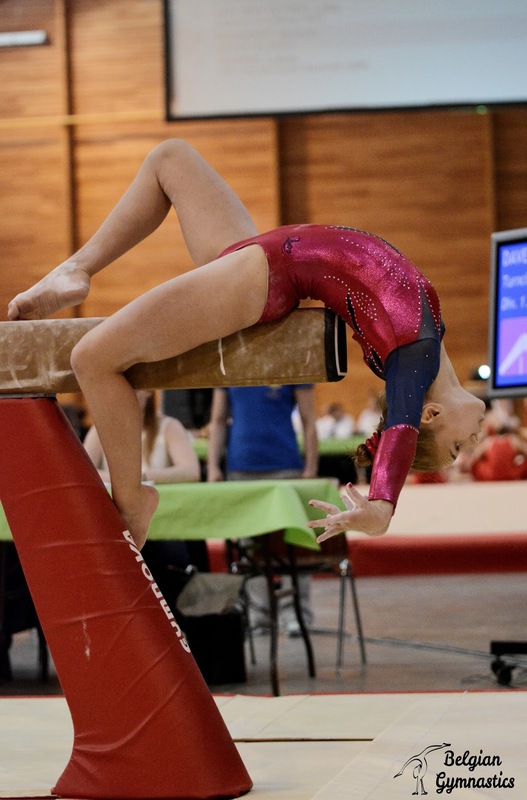 On bars, Axelle presented a piked Jeager, a Tkatchev and a full twisting double back dismount to earn 13.650. Julie Meyers started off really well until she unfortunately fell on her Tkatchev release. She scored 12.150. 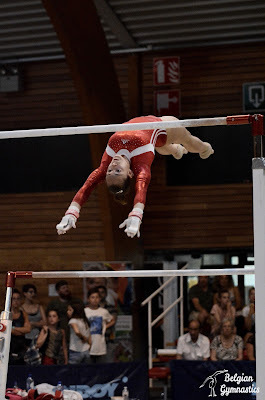 Maellyse had to take an extra swing during her routine but was clean otherwise (12.750), while Rune Hermans performed a piked jeager and a double piked dismount (13.150). On beam, Rune was the only one to not count a fall, with a clean set including a backhandspring to two layout step out, a side somersault and a double spin. Rune looked very confident on beam, although she performed a simpler dismount than what she used to do (a double twist, instead of a two and half in Rio) to earn 13.150. Both Maellyse and Julie had to count falls. Maellyse fell on her front somersault mount but the rest of her routine was good, with a couple of wobbles but good difficulty. Julie had a difficult day on beam, falling on her backhandspring layout step out and on her front walkover. 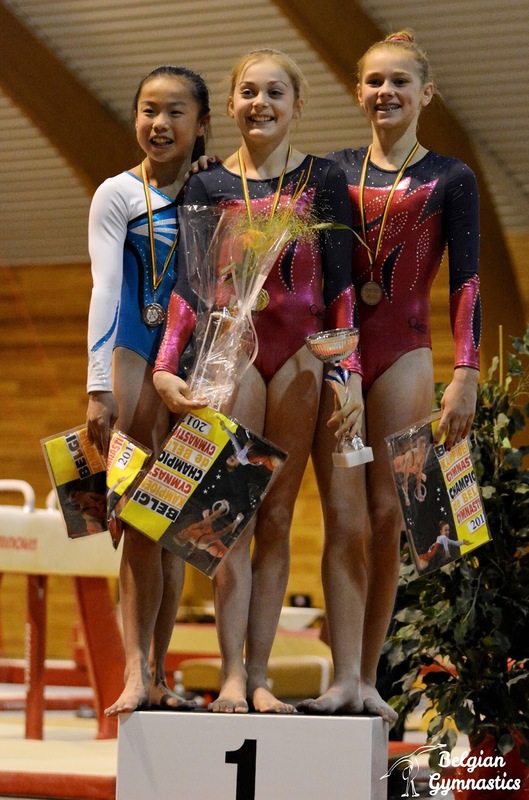 She only performed a roundoff to a layout as a dismount (9.950). On floor, Rune also had the highest score with 12.750, for her new routine including a double pike, one and a half twist to front full twist and a two and a half twist. Maellyse wasn't far behind, with 12.700 but had to count a 0.3 penalty when she went out of bounds on her double tuck. She performed a clean piked full in, a double pike and a double twist. Julie finished her competition with a good floor routine, with a two and a half twist, a one and a half twist to front piked (out of bounds), and a double pike (11.650). 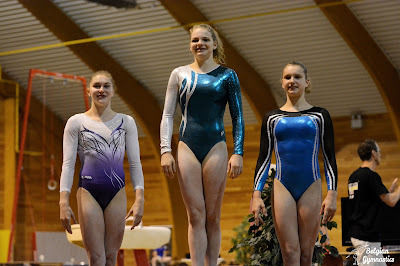 On the Juniors' side, Julie Vandamme came in first, with a total score of 49.550, her best score coming on vault (13.250). 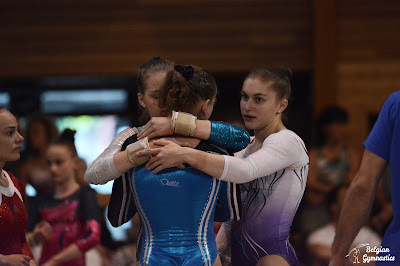 She placed ahead of Kay-Li De Neef who had a good competition overall, and Margaux Daveloose, who had a difficult day on bars. 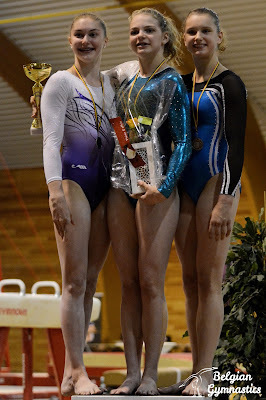 For the Juniors, this competition was a first test for the upcoming EYOF. The next competition for our gymnasts will be the Flanders International Team Challenge in June in Ghent!